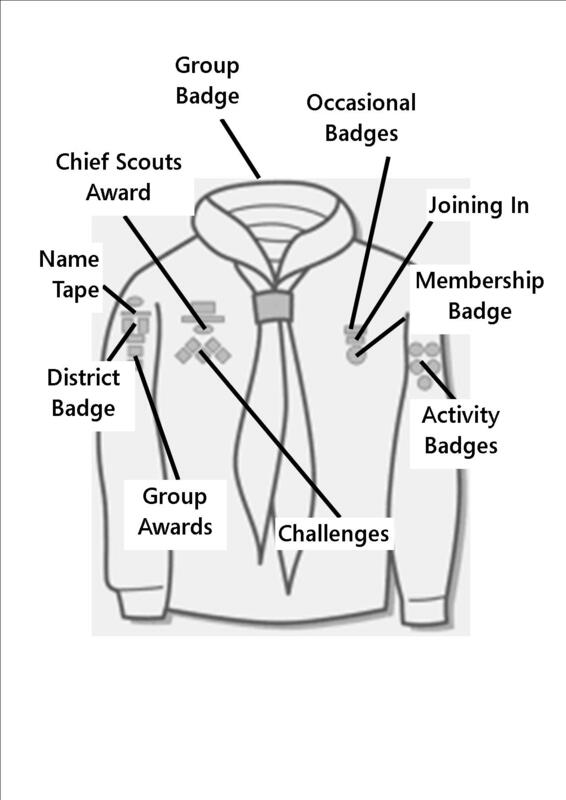 The diagram below shows the positions of the Cub Scout Badges on their uniform. Where Can I Buy the Uniform? No idea how to roll a scarf? Lay the scarf on the ground or a table with the long edge towards you. Roll the scarf up towards the point. A woggle holds the two ends together. During the Cubs time with the Section they will be awarded, what we call 'occasional' badges, these usually stay on their uniform for a period of 6 months and then they are removed. We as a Group encourage our members to start a 'camp blanket' while thay are in the Section, on to which they can stitch any spare badges they acheive or buy. This can be any blanket of your choosing but there are specific Scout branded poncho style blankets available.